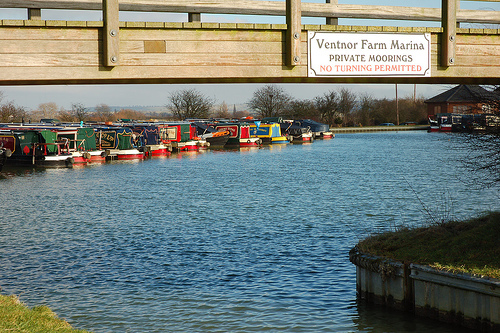 Wigrams Turn Marina, at the junction of the Grand Union and Oxford Canals, was built and completed three years ago and can accomodate 220 narrowboats.Wigrams Turn is probably the best mooring site in the country. At a canal junction choices abound going North, South, East or West. 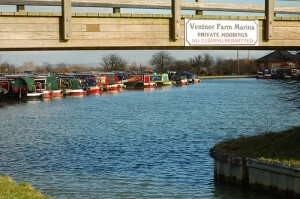 The marina is within 20 minutes drive of the M40, M42, M1 and M6. The Warwickshire ring is a connected series of canals forming a circuit around the West Midlands area of England. The ring is formed from the Coventry Canal, the Oxford Canal, the Grand Union Canal, the Stratford-upon-Avon Canal and the Birmingham and Fazeley Canal. It is a popular route with tourists due to its circular route and mixture of urban and rural landscapes. 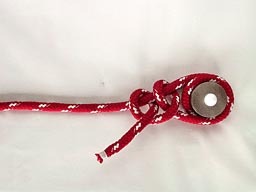 The ring totals 106 miles and has 115 locks, although there are two alternative routes through the southern part of Birmingham – from Kingswood Junction one can travel via the Grand Union Canal to Aston Junction, or via the Stratford Canal (north) and Worcester Canal to Gas Street Basin in central Birmingham. The latter route is slightly longer and has more locks, but many consider it to be more scenic and interesting. There is something of everything, in canal terms, around the Warwickshire Ring. There are wide beam and narrowbeam locks; there is idyllic open rolling countryside, and the grimness of industry, some of it removed, some of it improved, and some of it still there in all its awfulness. There are tourist honeypot sites, like Warwick Castle, and there are world class attractions like Drayton Manor Theme Park. Starting at Braunston, the route heads west along the Grand Union Main Line for five miles to Napton Junction, through pleasant farm land. At Napton Junction, or Wigram’s Turn, it turns to the North to the first of the locks at Calcutt. The original narrow locks, replaced by three wide beam ones in the 1930s, are still there alongside. Turning westward, the canal heads towards Stockton locks. These eight locks carry the canal downhill to Long Itchington. After few more isolated locks, there are the Bascote four, with the top two being operated as a staircase. Three more locks take the canal on to the floor of the Leam (pronounced “Lem”) and Avon valleys. Royal Leamington Spa and Warwick both have major tourist attractions. The climb out of the Avon Valley begins at Cape Locks, where the Cape of Good Hope pub serves a locally brewed ale called Two Locks, on account of the brewhouse being two locks down from the pub. 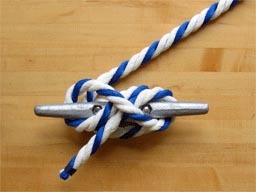 The locals call it “Twollocks”. The route then turns right onto the line of the Warwick and Birmingham Canal, later forming part of the Grand Union Canal. To the left Saltisford Basin is run by a Canal Trust: this is the nearest point to the town of Warwick. After climbing a few of the 21 Hatton Locks, the view opens up to show the enormous locks climbing the hill in an unbroken line skywards. Although heavy to operate, the locks fill and empty quickly. From Hatton top, there is a ten mile respite from locks. At Kingswood Junction, there is a choice of route. 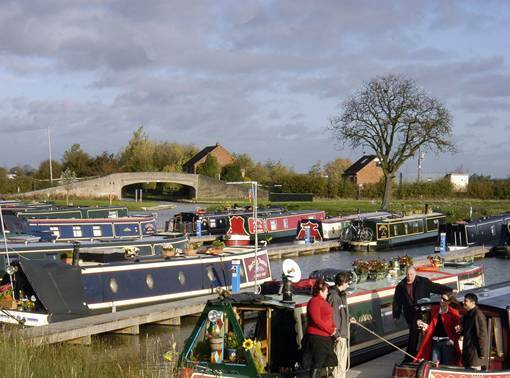 For those intending to go to Gas Street and Birmingham city centre, the narrowbeam Stratford-on-Avon Canal offers fewer locks and a quicker passage, but for boaters going straight round the ring, the main line route is shorter and quicker. Keeping to the main line, Shrewley village sits on top of the canal above a tunnel, with a horsepath which comes up to the surface right in the middle of the village. The five locks at Knowle raise the canal to its summit. The journey through Solihull is in a deep leafy cutting, shielding the boater from urban views. The Camp Hill locks are narrow beam and the canal is surrounded by urban traffic. At the bottom, the Warwickshire Ring turns right at Bordesley Junction. Ahead is the route to Digbeth Basin: in the 1930s it was the Birmingham Hub of a national canal transport system. There are bonded warehouses, an ice house, a major Fellows Moreton & Clayton warehouse, a banana warehouse and in Typhoo Basin, a tea warehouse. From Bordesley Junction, Saltley Cut was reviled as the filthiest place on the whole canal system, with gas works, a power station, railway works and a chemical works all generating or receiving cargoes, and discharging waste into the canal. It has been cleaned up now, and there is new housing facing the waterfront. After crossing an aqueduct over the River Tame, the Grand Union Canal reaches Salford Junction, where it meets the Birmingham and Fazeley Canal and the Tame Valley Canal, underneath the road decks of spaghetti junction piled high above the canal. You turn right on to the Birmingham and Fazeley Canal, the canal squeezing manfully through an impossibly narrow gap between the motorway and the backs of factories. A major electricity high voltage distribution centre, flashes and buzzes fitfully beside you, making the whole surface of the boat fizz. The gap gets even narrower, and the canal eventually gives up and dives beneath a factory seeking refuge in the noise and the dark. They build Jaguars here, and they used to build Spitfires. Mr Dunlop built himself a Fort! Eventually the canal re-emerges into the comparative calm of Minworth – a place whose historical claim to fame is that it was the largest sewage farm in Europe. Oh really? How fascinating! People have written books about it. The M42 motorway holds your hand through Curdworth Locks. Here, there is an amazing water park, and a children’s farm – PYO? At Fazeley, the canal runs right alongside Drayton Manor Theme Park. If you have children on board, you will be hard-pressed to pass this one by. In the shadow of a mill that makes red tape, we turn right onto the Coventry Canal and head south. They used to build the Reliant Robin at nearby Tamworth, right alongside the canal, but all trace of the activity has gone. It is almost as if they are ashamed of it. Tamworth has a Snowdome where you can ski on real snow, and a castle with a fantastic garden and a big shopping mall. A big flight of narrow locks lifts you up to Atherstone, the hatting town. They made hats here from Tudor times and at one time, every army in the world was wearing Atherstone hats. Towards the end of the last century, hats went out of fashion, and the town just died. They are still in mourning for it really. Everyone either worked at the hats or knew someone who did. They used mercury to make certain types of felt. It is very toxic, and destroys the brain. The expression “Mad as Hatters” was based on truth. It is hard to imagine now that all the marinas through here are occupying what were once the loading basins for collieries, for we have now entered the Warwickshire coal field, which has been completely cleaned up. Coal blackened boats with coal blackened men and women would barge and bang each other out of the way, cursing, in the clamour to get cargoes to carry to London or to Birmingham. This was the infamous “bottom road” out of Birmingham. Polesworth, a once proud mining community is now a rather characterless commuter town. Approaching Nuneaton, the canal skirts around huge holes in the ground left by quarry workings, and is criss-crossed by now silent stone conveyors passing overhead. The old engine house, the gracefully curved bridge and the Greyhound pub tell us that we are now at Hawkesbury Junction. All we need is some smoke wreathed around the boats and we could be back in the nineteenth century. For the Warwickshire Ring, we should turn left here for the Oxford Canal, but we are going to make a short detour down what the locals call “The Five An ‘Arf”, the five and a half miles of canal into Coventry. This is a flagship of urban regeneration. The towpath has been cleaned up, resurfaced, lit, policed, purged of drug dealers and addicts and adorned with sculptures and other works of art, and is now a thoroughly pleasant place to walk or cruise. The journey is like a catalogue for a historic vehicle rally, for manufactured here were Daimlers, Rileys, Hillmans and Humbers – and a Coventry Climax is not at all what you might think. An impossibly tiny bridge hole admits you to Coventry Basin, beautifully and sympathetically restored, with new retail units blending seamlessly with buildings from another era. But somehow, it does not quite seem to have worked. There never seem to be any shoppers here other than those who arrive by boat and the retailers have a general air of desperation about them. The focal point is a more than life sized statue of James Brindley standing in the centre. It is a powerful piece of work, and he seems so real, you almost think he will answer you if you talk to him. From Hawkesbury Junction, the Oxford Canal twists and turns while generally heading south east. This was a canal that followed the contours of the land. In the 1830s, it was straightened and shortened by creating cuttings and embankments to make it a better competitor to the railways, and the route to Braunston was almost halved. Where the original meanderings remain, the towpath is carried over the junction on exquisitely engineered cast iron bridges, made at Tipton in Staffordshire. At Newbold-on-Avon (yes the same Avon as Stratford) there is a new 1830s tunnel. Someone in sandals in head office has evidently thought it a good idea to install some pretty coloured lights through it. The canal keeps the town of Rugby at arm’s length, circumventing it on a huge embankment that never approaches closer than a mile, which is a shame because it is a nice old town. There is quite a community of boaters and businesses at Hillmorton Locks, that were duplicated in the 1830s to alleviate congestion. The 820 feet high Hillmorton Wireless Aerials, built in 1924, had global capabilty in the days before satellite communication. They are a significant landmark for miles around. The next significant landmark tells us we have completed our trip around the Warwickshire Ring. It is the very distinctive spire of Braunston Church that has been a homing beacon for canal boaters since the canals were first opened. In simple terms narrowboat blacking is the process of applying a protective coating to the hull to help prevent rust. Are you too wide for a narrowboat?